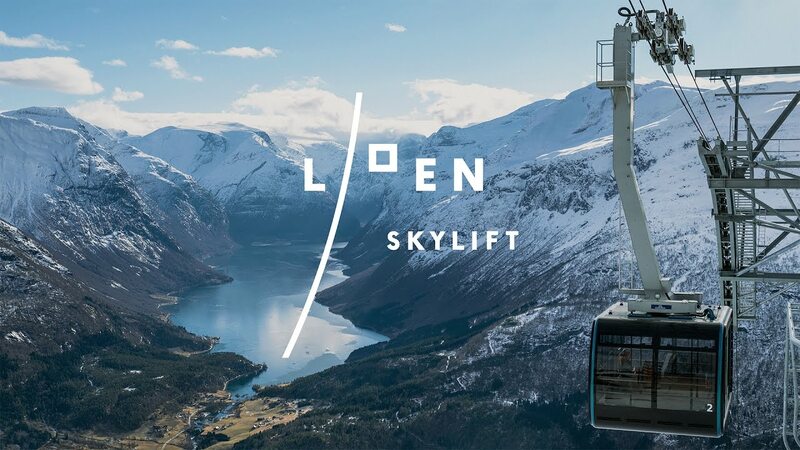 * See www.loenskylift.no for opening hours. Hoven Restaurant have a selection of warm and cold dishes. À la carte menu for individuals and smaller groups. Larger groups have to book in advance. Other menus for goups are available. Larger groups can also have served dinners or banquet dinners outside ordinary opening hours. Hoven Grill you will find next to the bar, on the west side of the terrace. Hamburgers and Nordfjord Susages, as well as other grilled dishes. Ice cream. Beer, wine, mineral water and coffee. The grill is serves in the summer season, but is open all year, with an open fireplace and a cozy atmosphere. Hoven Bar has a wide selection of alcholic and non alcoholic beverages. We also serve snacks and small dishes. Nespresso (Cappuccino, espresso etc), waffles, cookies and ice cream. Hoven Bar & Cafe is open from 10:00 to 22:30 throughout the summer. Sit inside the bar area, or out on the west terrace. On the rooftop terrace we serve waffles, cinnamon buns and ice cream (may vary from day to day). In addition, we have hot chocolate, coffee, tea, cappuccino, espresso and mineral water. In addition, we have souvenirs. The roof cafe is open during the summer season. Hoven Restaurant offer lunch and dinner for groups. Larger groups have to book in advance, and can book outside ordinary opening hours. The restaurant is ideal for banquet dinners and events.